Help is on the way! In the tradition of Lemony Snicket and Roald Dahl, Goblinproofing One's Chicken Coop shows how to banish those pesky dark Fairy creatures who are ready to thwart every last pleasure, be it gardening, country hikes, or even getting a good night's sleep. In this charming guide, "fairy hunter" Reginald Bakeley offers practical instructions to clear your home and garden of these unsettling inhabitants, and banish them from your chicken coop and kitchen cupboard forever! 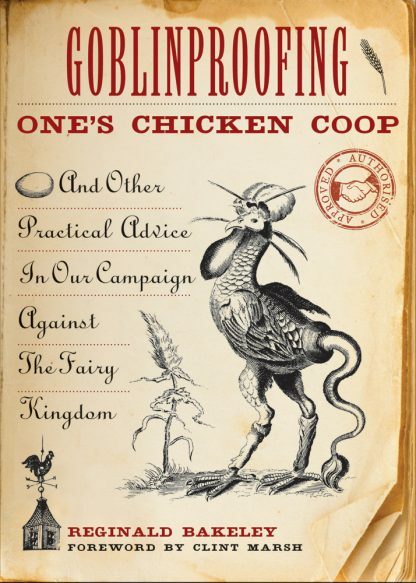 Goblinproofing One's Chicken Coop is the only complete manual on how to identify, track, defend, and destroy those bothersome brownies, goblins, dwarves, scheming flower-fairies, and other nasty members of the fairy realm. Reginald Bakeley is best known for his longstanding editorship of Phooka, The Journal of the Overland Mallet Club. An avid sportsman and defender of rural life, Bakeley has devoted himself to public awareness and management of fairy populations throughout Britain.